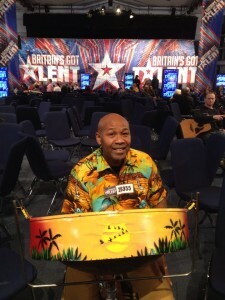 My name is Don Saunders aka King Don and I’m known throughout Peterborough, Stamford, Lincolnshire, Leicestershire, Cambridge, Cambridgeshire and surrounding areas as the best in the steel drum business. I’ve been playing for many years at weddings, cocktail parties, BBQs, corporate events, school fates, night clubs and festivals etc up and down the country. Please feel free to browse my videos and see/hear for yourself exactly what I have to offer. My steel drums are supported by backing tracks and with my high tech sound system, you could easily be listening to a small live band. My music is enjoyed by all ages and is appreciated and well received everywhere I play. I look forward to giving your up coming event that special edge.